The exchange was playful and clearly suggests that, while enemy soldiers in the game will continue to drop guns and gear when they’re killed, animals killed will still drop nothing. The topic had come up while Banchereau was sharing stats about how many bullets players have fired (123 billion) and how many enemies they’ve killed in the game so far (3.9 billion). Banchereau was going to button up that section with a stat on the number of in-game birds killed - 1.3 million - but they got onto a tangent that struck me as a worthwhile discussion of one of thousands of choices developers make in every game they create. “We don’t want to incentivise killing animals,” Banchereau said. You could interpret that a bunch of ways, from a moral value about wanting to not depict the killing of animals, a strategic view to avoid upsetting people who would see such a thing as cruel, or even simply as a game design decision. 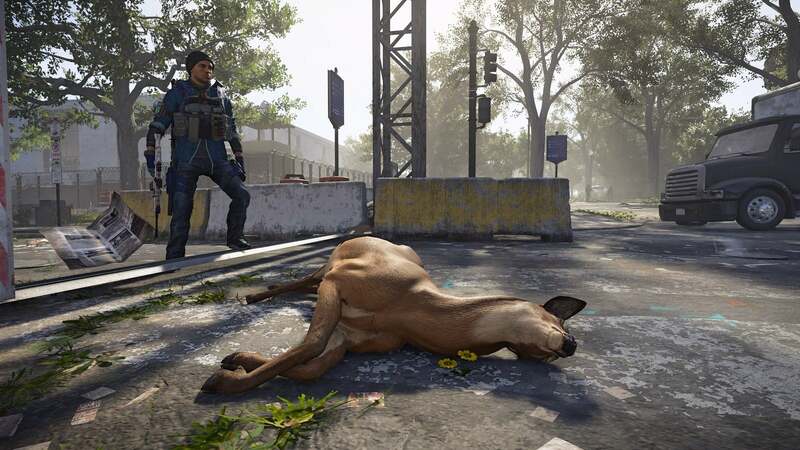 After all, if the birds, dogs, deer and other animals in The Division 2 dropped food or other resources, that might change the player’s approach to gathering in-game resources or alter how they approach combat and optimise their weapons, all of which are ostensibly meant to be tuned to fight against computer-controlled enemies who actually shoot back. That last point reminded me of the way other games have tied an expression of morality to the player’s gain of resources. The original BioShock, for example, gave players the choice between rescuing or “harvesting” the “little sister” characters, who looked like little girls, offering more resources for choosing the latter option. Doing the morally better decision might limit the player’s potential riches, though the difference wasn’t so pronounced as to make the kinder decision that difficult to bear. Arguably, the lack of meat dropped by deer in The Division 2 suggests that killing deer is pointless, though rendering such an action as unrewarding is itself making a point. That you can even kill the deer is itself a design decision, one that is layered atop another decision to even have them in the game world. The deer being there helps convey that nature is reclaiming parts of the game’s wrecked Washington, DC. Them being killable prevents the spell-breaking moment of the deer magically being able to dodge or withstand bullets (players’ guns are disabled when they’re in friendly settlements, but deer run down the same streets where enemies lurk). The dead deer not providing players meat? I like that decision. Sure, if they could be used for meat it would add a logical aspect of survival to the game and would feel true to what people would likely do when trying to cope amid catastrophe. It would also give me another task to do in the game, one that could easily feel gratuitous. Instead, making the killing of deer unrewarding proposes a tantalising alternative model of The Division. What if killing in the game was literally pointless in terms of providing video game points? What if killing enemies didn’t grant loot or other statistical rewards? 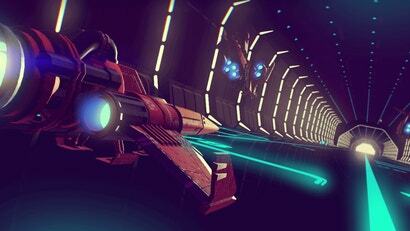 What if more of what we did in the game was dictated by what felt right, rather than what got us better loot? It probably wouldn’t make for as fun a game, but the deer at least run around as a suggestion of what another, more experimental version of The Division 2 could be. This seems like a weird design choice considering the scenario. I'd have thought that harvesting animals for food in that setting made perfect sense. I feel like they could have let players gather meat from animals but made it a time consuming exercise. Dressing a large animal like a deer for meat isn't quick, so make it a process that takes time and can be interrupted. Increase the chance it can draw attention so it's de-incentivized by making it a risky activity. That's my takeaway from the game as well. Its post apocalyptic, the world is in chaos. Standard processes have broken down, and communities need to harvest their own resources. If they aren't killing the animals in the area, where are they getting protein from? Killing deer makes perfect sense to me under those conditions. And then theres the greater moral balance of killing people being OK, but animals isn't? Doesn't make sense. The last part would be a fair balance. There are supply drops in the game, you have to fight off baddies while trying to open them. Its a pretty fun side event. Could do something similar with animals, and set up a sort of dynamic event where baddies move in on your position when you kill an animal, trying to harvest it before you do. It would basically turn the animals into a supply drop. Well as for the protein, you help set up a self sustaining hydrofarm at the theatre that gives them fish and plant foods. Still, seems silly when you have an endless supply of fat dopey dear running around it those whory great rats scattering everywhere. If there's morality in question, why can't you take a bite out of the soldier you just killed? Theres plenty of cases of cannibalism for survival. I'm sure there would be uproar over the ability to eat people, but as with @skrybe you can kill hundreds of people anyway, whats a bit of strange meat to offset starvation? I haven't bought the Division2, I'm curious whether food and eating plays a large part in the game? ie: Do they have a starvation mechanic? Do you regain health from eating or does food you loot basically just get sold? I think cannibalism in an open world type game adds another interesting layer. Especially if you have some sort of reputation system in place. It'd be kinda cool to see NPCs shunning players because they think they're cannibals. Food is a resource you use to help control points. You top them off with 3 different resources which helps them go on. I'm not sure theres any long term effect if they are low (ie, do they lose control?) but I think they do send out search parties for resources when they get low. End of the day, for me its just a means to make a bit of coin. You get money as a reward for helping them, letting you deconstruct gear for resources instead of selling them. To answer your question though, no starvation isn't a mechanic. Food is just a resource that acts as a type of currency. Hmm, that definitely makes it less interesting and I guess less important when it comes to getting meat from deer if you can't starve in game. If youbget meat from animals... then how. Do you ibstantly loit it, or do you need a skill tree point, hoe long does it take to butcher an animal, skin and slice it. So you take the deer whoke to a settlement. If anything its ridiculous in say FarCry you could be in the middle of a battle, hold E for 3 seconds and butcher an animal of its skin meat and vital organs... faster than you can reliad a Light Machine Gun. 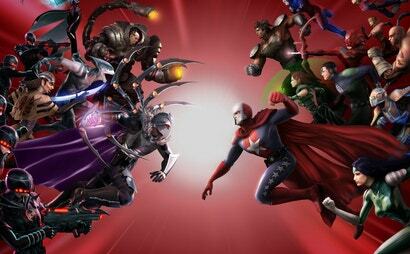 Just because another game does it wrong, doesn't mean this one couldn't do it right. And I agree with you, there are some nonsensical decisions devs make in the name of "fun". They could just say the animals are contaminated with the virus and therefore inedible. With the amount of Racoons, Foxes and Feral Dogs roaming the street, who is to say that Rabies isn't infecting the animals? That's a really simple and clever idea. It'd definitely make sense and fit in game logic. I'd even extend it further and allow gathering meat but it becomes russian roulette with venison instead of bullets. Will you get sick or won't you? Just like in Tomb Raider, killing a deer is the origin story of how you became a psychopathic murderer of hundreds of men.